"Love Yourself: Her," the latest EP by K-pop act BTS, has sold over 1.2 million copies to become the biggest-selling Korean music record in 16 years, data showed Friday. The album sold 1.2 million copies between its Sept. 18 release and the end of last month, according to Gaon Chart, the country's benchmark music sales tracker. "Love Yourself: Her" became the biggest-selling K-pop album by month in 16 years, coming second to boy band g.o.d's fourth album, which was released in November 2001 and sold 1.44 million units during the month. 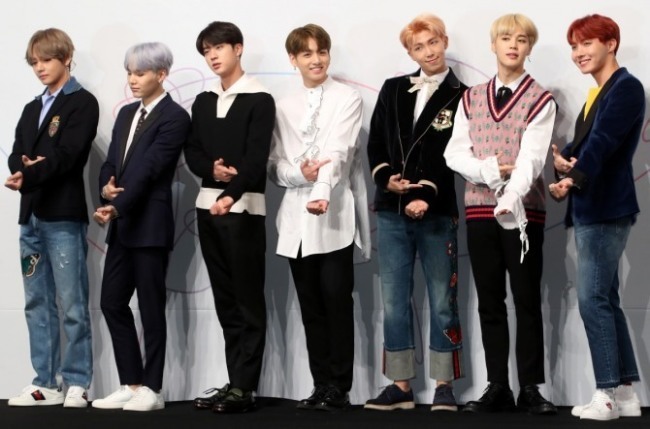 BTS has remained on Billboard magazine's two key charts for the third-straight week. On Wednesday, "Love Yourself: Her" clocked in at 35th on the "Billboard 200" chart for the week of Oct. 21, while the album's lead song, "DNA," ranked 85th on "The Hot 100" chart.